Participants to the meeting of the Justice Triangle on the stairs of the Government Office in Bonaire. Photo: Government of Bonaire. 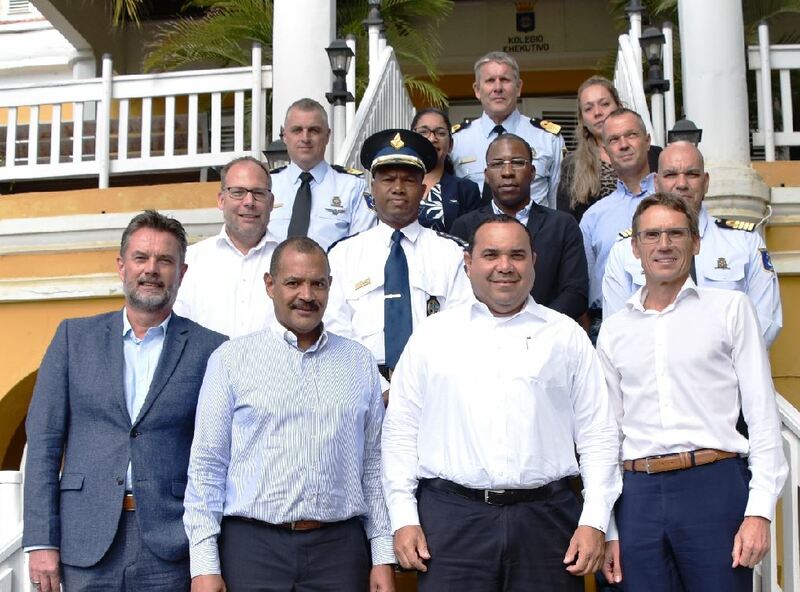 Kralendijk- During a meeting of the Justice Triangle consisting of authorities, police and justice, held in Bonaire, participants discussed the new Traffic Ordinance of Bonaire which will take effect on August 1 of this year. The damage fund for violent crimes was also discussed. The consultation took place on 4 April. During the meeting, the Coastguard gave a presentation about the deployment in the Caribbean. The Attorney General and the Chief Public Prosecutor attended the consultations. The island governors of Bonaire and Saba and the government commissioner of Sint Eustatius also participated. Other participants were the chief of police of KPCN and representatives of the KMar and the Coast Guard. Did anyone manage to figure out what the “New traffic ordinance” is ? ?